Mouth Cancer Awareness Month 2014 in November is almost upon us. 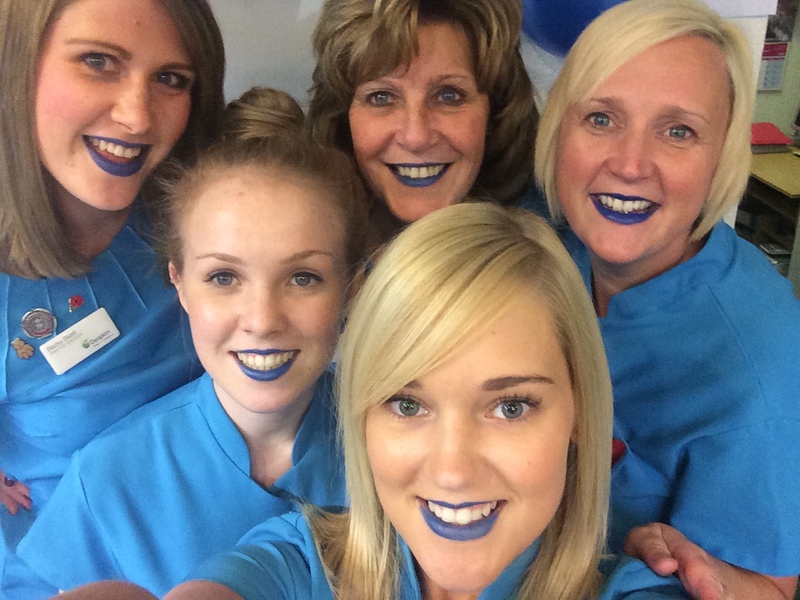 At Anchor road Dental Practice , with the help of Denplan, everything is going BLUE!!!! Lots of fundraising will be done and we will be making patients aware of the signs and symptoms and also how to avoid developing mouth cancer in the future. Mouth cancer or Oral cancer is when a tumour develops inside of the mouth, on the lips, tongue, inside cheeks or tonsils. If you have heavy ulcers which do no heal within 3 to 4 weeks this can also be a sign, in which case we would advise you to visit your dentist. The main causes Of Oral/Mouth Cancer are smoking and heavy drinkers. A poor diet can also attribute to the causes of Oral cancer. It is thought that Men are more likely to suffer from this than women and the most common age group is 50-75 although younger people do still suffer. The most common ways of treating mouth cancer is with surgery, radiotherapy and chemotherapy. If treatment is begun early then the likelyhood of a positive outcome is dramatically increased. Regular check ups with your dentist are advised for early detection. For prevention low alcohol consumption, smoking cessation and a healthy diet can help. I have an appointment in November and I expect to see the “blueness!” And also blue lip selfies!!! This is the first time I have heard of mouth cancer awareness month. On that same thread, how common is oral cancer now days? It is one of those types of cancer that you don’t really hear about. Mainly, you hear people getting it from using tobacco. Unfortunately oral cancer rates have been steadily increasing in the UK over the last 50 years, accounting for 2% of all cancers.